This medium strength formula, is similar to the Intensive Concentrate and suitable for daily use, contains pure extracts of Sumac, Arnica and Quinine to work in a unique way by relaxing (vasodilate) stressed blood vessels supplying the hair follicle resulting in better blood circulation. Caffeine and Rosewater stimulate the blood flow around the follicle supplying it with extra nourishment. Sarsaparilla extract contains a natural hair growth hormone. Nettle and Burdock contribute with their wealth of natural key amino acids, vitamins and microelements, vital in combating hormonal unbalance, controlling the production and removal of excess sebum and stabilise the health of the hair follicle. First wash and condition hair with LMB Strengthening Shampoo and Nourishing Conditioner. Apply serum to thinning areas and gently massage with fingertips into the scalp. Do not rinse. Dry and style hair as usual. Apply daily for a minimum of 3 months. Wash hands after application. 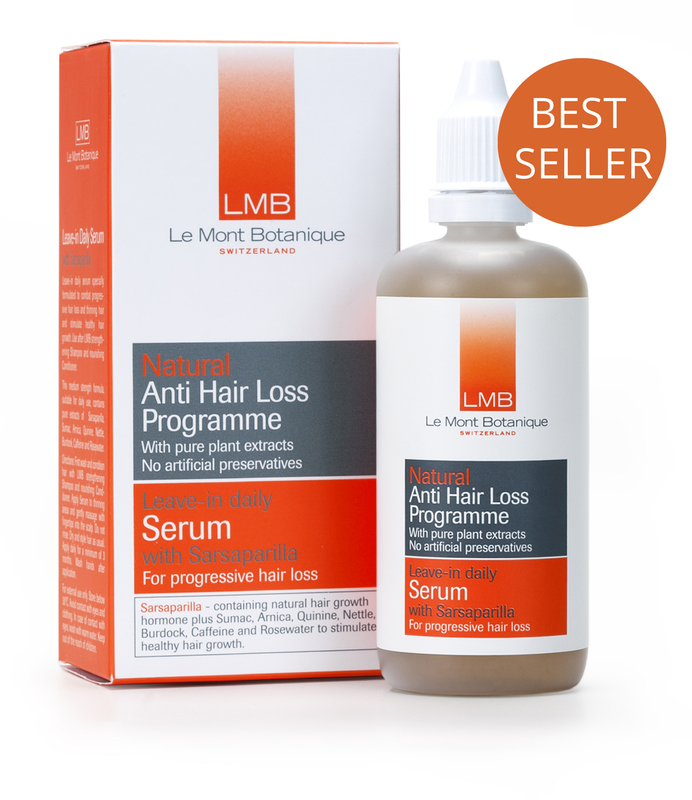 A preventative programme to combat and prevent progressive hair loss and thinning hair. Use for a minimum of 3 months together with LMB's Anti Hair-Loss Strengthening Shampoo, Nourishing Conditioner and Vitamin Complex for optimal results.